In Venezuela, Pentecostal pastor Samuel Olson is defending biblical faith in an increasingly socialistic society. President Hugo Chavez has been good for the evangelical church in Venezuela, say some Christians in this South American nation. According to the theory, since Chavez assumed power in 1999 the ensuing economic uncertainty, spiraling crime rates and political turmoil have driven Venezuelans to seek God as never before. Church leaders cite an unprecedented growth spurt to support their case. Protestants are now 17 percent of the population, up from 11 percent a decade ago. That translates into more than 1.5 million new believers since Chavez came to power. One Venezuelan church leader Samuel Olson does not subscribe to the formula that Chavez + power = church growth. Olson sees a more fundamental reason for the current revival in his country. 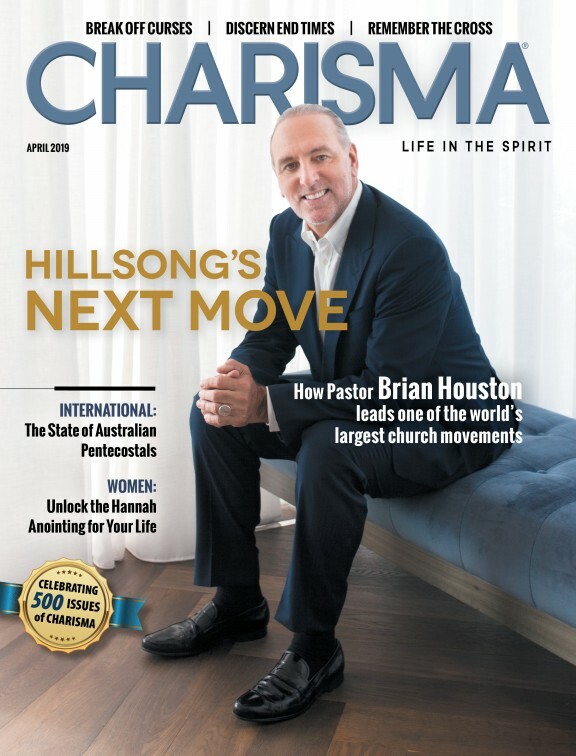 "I think there's been growth of the church because the gospel has been preached," he told Charisma. "People are trying to find a spiritual basis for their lives. Postmodernism has not answered their questions." Olson is pastor of Las Acacias Evangelical Pentecostal Church in Caracas and president of the Evangelical Alliance of Venezuela. His opinion carries a lot of weight, both in Venezuela and overseas. For years he has served on the International Council ofthe World Evangelical Alliance and as a member of the Lausanne Committee for World Evangelization. Fellow believers in Venezuela consider the blue-eyed missionaries' son of Scandinavian descent their elder statesman. He has earned the position. Born in Barquisimeto in 1942 to missionaries Yngve and Ruth Olson, Samuel Olson has spent most of his life in Venezuela. His parents planted the first Assemblies of God (AG) congregation in the country, with seven people in attendance at the inaugural service. Life was tough in those days for born-again believers in the officially Roman Catholic nation. Olson can recall opponents pelting the meeting hall with rocks during services to disrupt worship. Believers were sometimes thrown into jail or taken to court because of their faith. Despite the opposition, the witness of those early believers produced fruit. Today the AG has multiplied in Venezuela to become the country's largest Protestant church movement. Yngve Olson left the AG in 1954 and planted Las Acacias as an independent congregation. A few years later, Samuel Olson left Venezuela to pursue studies at Johns Hopkins University in Baltimore. He went on to earn two master's degrees, one in Spanish literature and history from Middlebury College and one in divinity from Princeton. In 1971 he abruptly abandoned a promising career as a professor in a New Jersey prep school so he could return to Venezuela to help his father. "My real intention was to kind of fulfill my father's work and then leave and get on to other activities," Olson said. "But when my father died, the church asked me to become the pastor. I looked back to see what the Lord had done through my life and felt that I should accept." That year, he married Nancy Gallardo, a native of Ecuador. The couple soon had two children, sons Sammy and David. When Samuel Olson became head pastor of Las Acacias in 1979, the church numbered fewer than 300 members. Under his leadership the congregation has experienced robust growth to become the largest evangelical church in Caracas. Currently Las Acacias welcomes 5,500 worshipers each week to its three Sunday services and baptizes 600 new Christians each year. A staff of 24 pastors and 130 lay workers, all of them part time or volunteer, carry on a myriad of outreach ministries to the Caracas metro area. Social service programs provide medical and legal assistance to people in crisis and literacy and vocational training for those wanting to improve their marketable skills. Las Acacias provides care to AIDS sufferers and free professional counseling and family therapy. Weekly, 4,000 believers and seekers meet to study the Bible in 550 cell groups scattered across the city. Hundreds of Las Acacias members have completed training in personal evangelism, sacred music, liturgical dance and drama. On Saturday afternoons, talented street actors present mime and theater performances and artists display exhibits, all geared to introduce busy urbanites to the gospel. "I feel my church grows because I make no bones about being a denominational church," Olson says. "I don't even talk about being evangelical or Pentecostal. People come and receive the Word and worship.